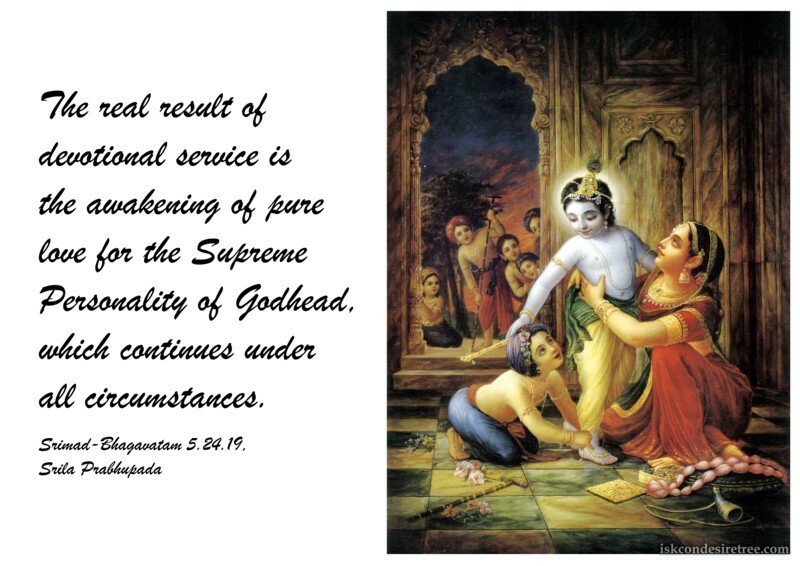 The real result of devotional service is the awakening of pure love for the Supreme Personality of Godhead, which continues under all circumstances. 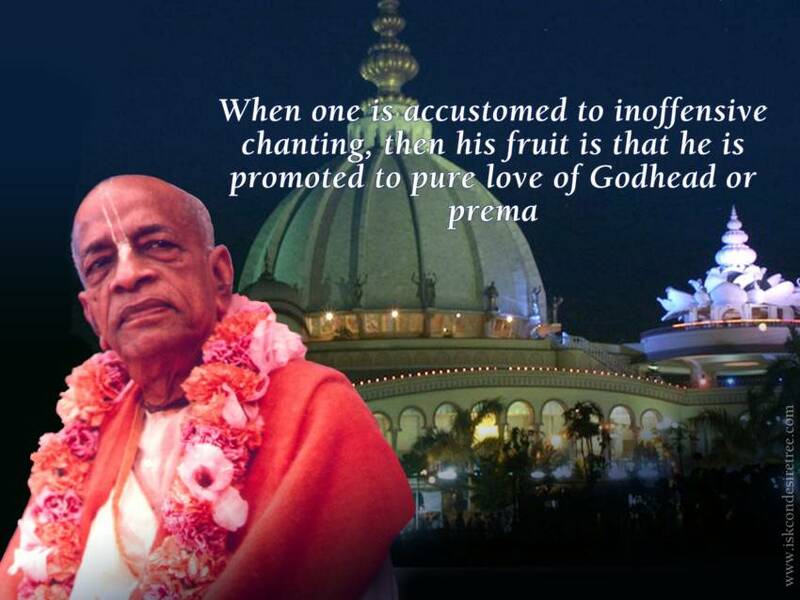 When one is accustomed to inoffensive chanting, then his fruit is that he is promoted to pure love of Godhead or Prema. Pure water means you do not add anything, but take out all contamination. Similarly pure love means you don't put rather you take all dirt out of your heart. Then you experience pure Love of god. In our conditional stage, we cannot worship Radha and Krishna. Radha-Krishna-seva is for them who have developed spontaneous love for God.